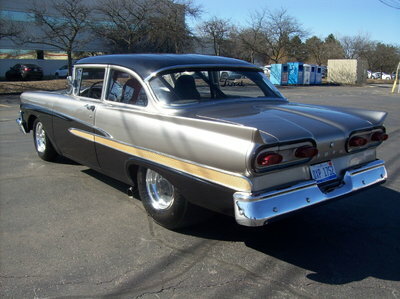 For those on a budget, the junkyard is the cheapest way to find a project car to turn into a strip burner (this includes the virtual junkyard, ahem, like RacingJunk.com). 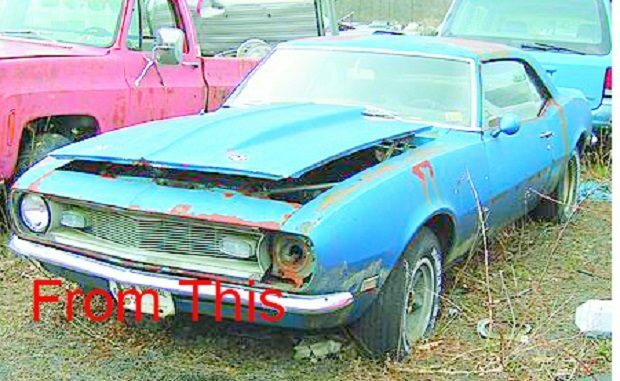 Problem is, one of the main reasons that those cars are in the junkyard to begin with is that they were usually thought to be beyond hope of repair. However, I’m going to fill you in on a little secret: They may be totaled, but there’s still quite a bit of useful life in those junkyard finds, as long as you know what to look for. I’m going to walk you through the process of finding and inspecting a junkyard vehicle that will work as a strip burner. These guidelines can also be used for any project car you decide to take on. If you’re applying these concepts to a car you’ve found online, work with the seller to ask these questions and get photos. As I said above, a junkyard is the best, and my favorite, place to find the basis for a project car to turn into a strip burner. I was lucky when I was doing this on a regular basis; I had a whole shop with all the air and power tools I could and would need to do pretty much any type of repair to a car I was working on. Most likely, you won’t have that luxury. This means that what I would consider a perfect fit for me will probably be too far gone for you. The factors that will determine most of this are how much money you have to invest, your skill level, and the amount of work and effort you’re willing to put into it. Do you plan on replacing the full suspension system or just parts of it? Are you going to reuse the axle housing and just replace the differential internals and axles? How much of the front clip are you going to use, all, part, or none? You’ll need a few basic tools to perform your inspections with when you go to the junkyard to pick out your strip burner project car. First, you’ll need a hammer, preferably a ball peen hammer. Also bring a punch or chisel. A crowbar or other type of pry bar is useful to check range of motion and check for binding in suspension components. A set of sockets and/or wrenches lets you remove parts to inspect them more thoroughly. A can of WD-40 breaks lose rusted nuts and bolts. A protractor and straight edge are handy for checking the frame. You’ll also want a heavy wire brush to brush away dirt and surface rust. Remember, bring a full car trailer, not a dolly. These are junkyard vehicles so, technically, their wheels aren’t allowed to hit city streets until you’re ready for the DOT vehicle inspection. If you plan on replacing most of the stock suspension with aftermarket parts, don’t worry about bent or broken A-arms, rusted, pitted, broken or rusted coil springs, or even welded front axles, hubs, and bearings. If you plan on using the suspension parts that are on the car, look them over closely for damage such as pits in the spindles, heat-welded bearings, and excessive rust. Check over the steering shaft. Make sure it moves through the firewall/bulkhead smoothly without binding. Make sure the steering gear box or rack and pinion move through their whole range of motion. Because the rest of the steering assembly components are relatively cheap, don’t worry about their condition, even if they look good, I’d replace them. If you plan on re-bushing and reusing the control arms, check them carefully for rust, cracks, bends, and closely look over the coil spring cup to make sure it isn’t rusted out. Use the pry bar to move the control arms up and down. Look for rust flaking out of the pivot joints and for bending in the control arms themselves as you apply pressure. Carefully look over the upper and lower shock absorber/MacPherson strut mounting locations. Check for elongated bolt holes, rust around the bolt holes, and cracks in the metal. If you find any of this, find another vehicle unless you are proficient with a welder. While doing your inspection, look closely for rust. If/when you find any, use the hammer and punch or chisel to determine the extent. Don’t smack the punch or chisel like you’re swinging for the cheap seats, but do strike the tool with some force. If the rust is bad, it won’t take much force for the punch or chisel to break through the weakened metal. Rusty A-arms/control arms and springs are OK, even if you plan on reusing them. Just make sure they aren’t rusted through. Surface rust can be sanded or wire brushed off and sealed with a polymer coating such as Rust-Solv or Rust-Mort. Most likely you’re going to replace the rear-end/differential, at least I hope you are since most OEM (original equipment) rear-ends aren’t geared correctly for the track and have weak limited-slip internals. You want full posi for the quarter mile. So don’t worry about the condition of the axles, or housing, just pay attention to the mounting locations to be sure they are in good condition with no rust or cracks. When I plan on trying to retain some of the collector value of an older vehicle that I’m race-prepping, I will reuse the rear-end housing and just replace the axles, bearings, and rear-end internals with the properly geared replacement internals (ring and pinion, etc.). You will still need to inspect the mounting/connecting locations for the rear-end. You’ll also need to check the housing itself for rust and cracking. Again, use the hammer and chisel or punch but, again, you’re simply swinging for a base hit, not the cheap seats. This part is the hard part to talk about, because if you get this wrong, it could hurt. I’m talking about the floorpan of the vehicle. The part of the car that the seats and rollcage/rollbar connect to. It has to be at least repairable to maintain your safety if something bad happens on the track. Rust weakens the metal and can allow the seat bolts to rip out and that would be bad. Lift out the carpet and floor mats. Check carefully for rust. Small sections of it aren’t really a problem. In fact, if you are a proficient welder, even larger patches of rust can be cut out and replaced. Carefully inspect the rear panel separating the compartment from the trunk as well as the bulkhead. Again, if you’re good with welding, or you have a rivet gun, rust here isn’t that much of an issue; just remember you have to make those two pieces almost airtight in order to pass NHRA inspection. Both front and rear panels must be able to hold a fire back long enough for safety crews to get to you and get you out of the vehicle if something bad happens. When I head out to the local junkyard to look for a new strip burner or any type of project car, my biggest worry is always the frame. Always. I rarely look at anything else because I usually plan on replacing almost everything with aftermarket goodies. However, I can’t do that with the frame. The frame is the most important part of the vehicle and also the hardest part to inspect properly. Rust can hide. Bends and cracks can hide. Even twisting can be hard to detect, but you’ve got to do your best here. It would be nice if you could take the time to pull the body off the frame so you can inspect it more thoroughly, but most junkyards won’t let you do that, so we do what we can. Wire brush every weld location thoroughly and use the punch or chisel to test the condition of the metal. Do the same around any of the openings in the frame. Use the protractor where the crossmembers meet the frame rails ensure they meet at 90 degrees. Eyeball the frame as much as possible to see if you can detect any waves or bends. Any deviation and you need to move to the next patient. Here’s where it gets a little tricky. You’re in a junkyard, so chances are most, if not all the window glass will be gone. Check the window frames for rust. Small flakes are ok, but larger ones will either require repair work or deciding to keep looking for a better specimen. Side/door windows can be replaced with window netting. Front and rear windshield gutters/trays should be as rust-free as possible ensure a good bond and seal. Finally, the body. I wouldn’t worry too much about rust.. Most performance catalog centers sell fiberglass replacement clips that will lighten the front end. This helps with the overall balance of the vehicle. Also, you can use fiberglass to patch rust holes large and small. When inspecting the body, you need to pay careful attention to body mounting points. Wire brush and chisel lightly to see if rust is present. Rusted body mounts can break at the wrong moment on the track.